Today’s work environment brings together many groups of people with unique talents, best viagra mind skills, best viagra and abilities, from diverse backgrounds and cultural experiences. While this can be a strategic advantage for operating a business, it can present challenges for management as they communicate, lead, and motivate. Relationship management is at the heart of every work relationship that can either yield positive or undesirable results. 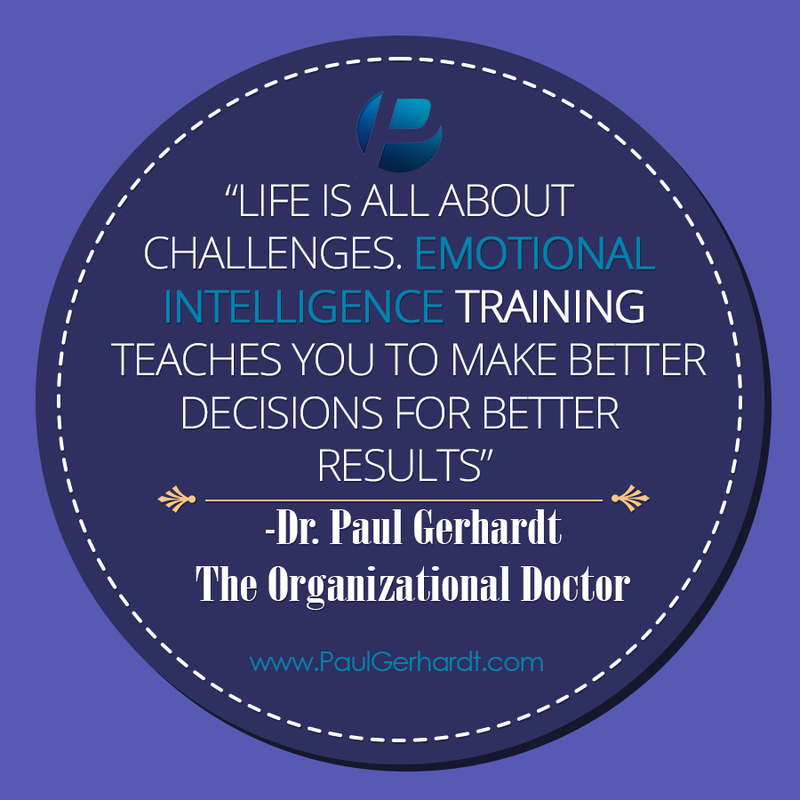 Dr. Paul Gerhardt offers four and six-hour emotional intelligence training sessions for managers at a location of their choice to learn how to better communicate, buy motivate and lead their workforce for a more cohesive and productive work environment. He is a world-renowned expert in leadership, career training and diversity who understands how crucial emotional intelligence is in the workplace, as well as the unique challenges that modern day employers and managers must overcome. Besides authoring “Diversity At Work”, “The Diversity King”, “Leadership Lucy”, and “Supervision Essentials”, Dr. Gerhardt has traveled the United States and worked with people from many cultures, socio-economic and business backgrounds, giving him professional and personal knowledge of how emotional intelligence helps management nurture the right environment for employees to be as productive and creative as possible. As management models the proper ways to relieve stress, communicate with others and overcome conflicts, employees have an example to follow when disagreement or conflict arises. The benefits of emotional intelligence training are: better relationships, improved thinking, enhanced personal effectiveness, improved leadership capabilities, and better personal management. If you are looking for more effective ways to communicate with your workforce, or would like to train your team on how to professionally defuse conflicts, manage their emotions in a positive and professional way, Dr. Gerhardt brings invaluable experience and actionable tips for a better work environment. Whether you work at a place where stress levels can be high or would like to bring in fresh perspective for your employees as they manage interactions with coworkers, families and friends, emotional intelligence training is a power-packed training your staff will reap many benefits from. Contact us today for a no obligation consultation about our 4 or 6-hour emotional training workshops that have benefitted corporations around the world.